On Monday 4th September, SWOP's multicultural team made their way to the Maritime Museum at Darling Harbour to attend the 2017 Multicultural Health Communication Awards. Established in 2003, the awards recognise excellence in the production of multilingual health resources. SWOP's recently-completed resource, 'Safe At Work', won the award for 'Best Non-Government - over $5000'. 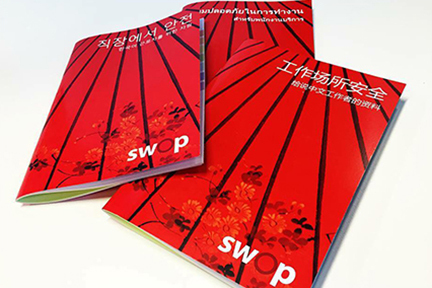 The booklet, produced in Chinese, Thai and Korean, has already become an invaluable resource for our CALD communities.